Congratulations to the 2017 winners of the Mozo Experts Choice Awards for Home Insurance. These awards recognise home insurance policies that provide Australians with exceptional value for money and exceptional quality cover and benefits. What are the Mozo Experts Choice Awards? 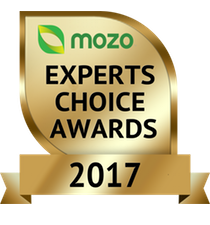 The Mozo Experts Choice Awards have been running since 2014, recognising outstanding products and great value. 2017 is the first year we’ve announced awards in home insurance. For the Exceptional Quality awards, we compared 199 home insurance policies from 38 home insurers. We assessed quality of cover on each product, comparing a wide range of features including accidental damage cover and 24/7 claims. Mozo also assessed customer experiences when dealing with the insurer as well as their track record of handling disputes with the financial ombudsman services. In the Exceptional Value awards we compared 35 home insurance providers across home buildings, home and contents insurance and contents insurance to recognise best-priced for the features they offer. Awards for Low Cost insurance have also been awarded to those policies that are the most affordable essential level of cover. More information on the awards methodology can be found here. To identify the home and contents insurance Experts Choice Winners, our judges pored over literally hundreds of thousands of pieces of information. How well the home insurance policy scored on a range of factors including the nature and extent of the insurance cover, and the inclusion of added benefits? Whether the policy provided, or offer as an optional extra, aspects that we considered to be the basic essentials in a quality home building or contents insurance product such as 24/7 claims, new for old contents cover and the option of accidental damage cover. Whether disputes are relatively rare, and when they do happen are they resolved quickly? Overall results are strongly weighted towards the product cover and benefits. The top 10% of products available nationally received this award, along with any state-based or demographic-based products that scored the same or better. For Exceptional Value Awards, we considered a total of 19,890 home insurance customer scenarios, and determined the percentage of those scenarios where a given policy would feature among the 4 cheapest quotes out of all the policies meeting a minimum level of quality. See our methodology report for more detailed information on how we performed the price comparisons and determined the final winners list, including the Exceptional Value Low Cost award. Were all home and contents insurance policies compared for these awards? We didn’t compare every single product in the market, but what we can say is that we compared most major home insurance brands and policies. In total we extensively reviewed 199 policies for the Exceptional Quality awards and quote data from 35 insurers for the Exceptional Value Awards. You can see the full list of providers in our methodology report. What home insurance is better, the policies that have won for exceptional value or exceptional quality? This really depends on you and your particular financial circumstances. We found that when comparing home and contents insurance policies people want different things. Some people are prepared to pay a higher premium for more comprehensive cover or features, while others just want to be sure they are covered for the essentials and pay a lower cost. This is why we split the awards into two categories. If you choose from the list of winners above, you can be confident you’ll be getting a good quality insurance policy. Did you take into account customer reviews or complaints in your judging process? Yes, for the Exceptional Quality award we used data from a national survey of 3,726 Australians commissioned by Mozo and undertaken by IPSOS in May 2017, which measured customer ratings of the experiences of getting a quote, dealing with customer service staff and making claims. We also looked at dispute data from the Financial Ombudsman Service. Are these awards impartial, do home insurers pay to be included? No, Mozo Experts Choice awards are awarded irrespective of a product provider’s commercial relationship with Mozo. Our research team analyses product data and determines the winners in each Mozo Experts Choice category without reference to Mozo’s sales or commercial functions. Our research team is headed by our Data Services Director and our Product Data Manager who have over 50 years of financial services experience and 22 years in online financial comparison. I work for an insurer, how do I promote our win? Please get in touch with us to discuss by emailing or phoning our advertising sales team on 02 9037 4368.